The music on this CD comes from melody and is about melody. It does not claim to be jazz or any other type of music. It does not pay tribute to any style or tradition. It seeks only to communicate and express beauty through sound and rhythm. "Mr. Reid, a young jazz bassist, is a careful composer with good ideas about what jazz can do now; he sets it up with backbeats and two saxophones with lines gently intertwining, an art-pop mistiness. It's full of ballads that don't sound anything like the old kind of jazz ballads." "In recent months, bassist Reid Anderson has worked with Mark Turner and Kurt Rosenwinkel, Stefon Harris, Orrin Evans, and others. His first two albums on the Fresh Sound label, 1997s Dirty Show Tunes and 1999s Abolish Bad Architecture, were stunning and quite overlooked. 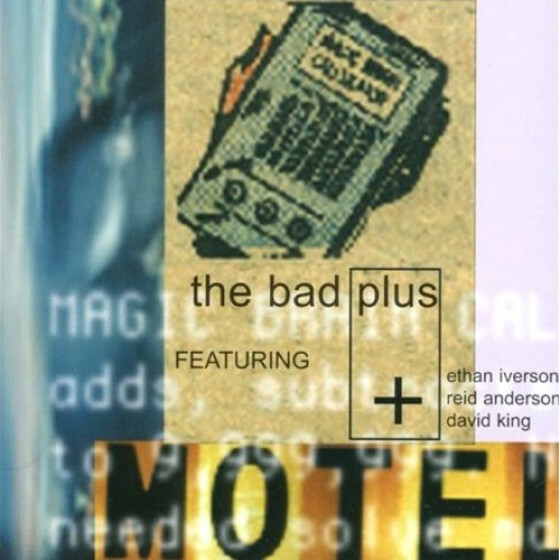 Featuring Mark Turner, pianist Ethan Iverson, and drummers Jordi Rossy and Jeff Ballard respectively, both albums revealed not only Andersons brilliant compositional style, but also his brand of what one might call serious-minded humor. Anderson now has followed up these superb efforts with The Vastness of Space, a project that is entirely different and perhaps even more original and daring. Instead of piano we have Ben Monder on guitar. Altoist Andrew DAngelo and tenorist Bill McHenry comprise the frontline, with Marlon Browden behind the drums. This is the lineup that Anderson performed with live during the course of 2000. The overall vibe of the band is raw and loose, allowing Andersons new batch of tunes to breathe and flow with an easy-grooving effortlessness. Many of the melodies have an almost hymnal quality, and the chord progressions and beats are sometimes closer to rock than jazz. But that doesnt make it "jazz-rock" or fusion of any familiar sort. Neither does it fit comfortably into avant-garde or mainstream post-bop camps. Even more so than Andersons two previous albums, this music is totally uncategorizable, and at the same time entirely accessible. Nearly every track has what can only be called a hook, making each listen a satisfying return to melodies or chordal patterns that quickly become etched in the brain. Some of these tunes could by rights become contemporary standards. Anderson is that good. This is not at all a "blowing" record. "Prehensile Dream," in fact, features hardly any soloing at all. The mesmerizing melody is simply repeated, with increasing urgency, until the same haunting guitar arpeggios that began the tune return to end it. Similarly, "Reclusive" and "Melismatic Clouds of Joy" build melodies into ecstatic yet mournful cries, harnessing the power of the full ensemble to drive the point home. 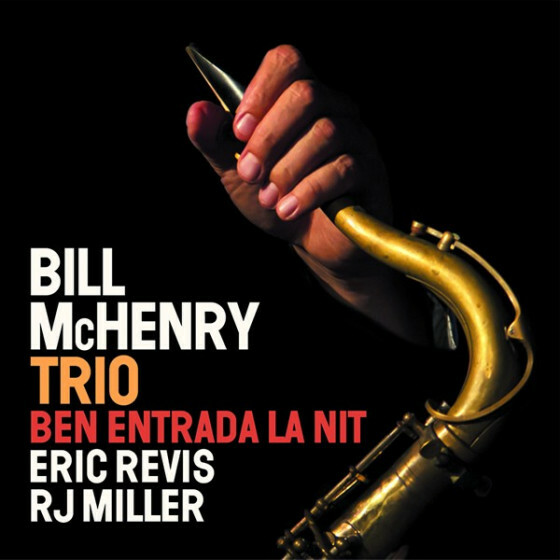 One would probably need to go back to an album like Nefertiti to hear this kind of mantra-like emphasis on melody in a modern jazz ensemble. As horn stylists go, D'Angelo and McHenry couldnt be more different, and Anderson takes advantage of this in many ways during the course of the album. On "The Owl," for instance, DAngelos solo is almost entirely "out," his playful screeches contrasting with McHenrys careful, yet energetic, dissection of the quickly moving changes. 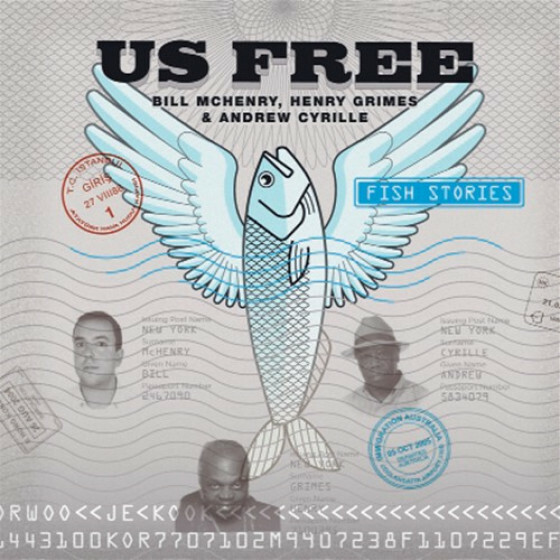 At other times the two-horn interplay is as subtle as that heard on "Foxy," where DAngelo plays the slow, singable melody before McHenry takes it over, continuing it underneath DAngelos solo. Ben Monder is also a tremendously important part of the bands sound, comping clean, mellow chords and contributing fine solos on several cuts. His fuzztone workout toward the end of "The Captain" is a highlight. 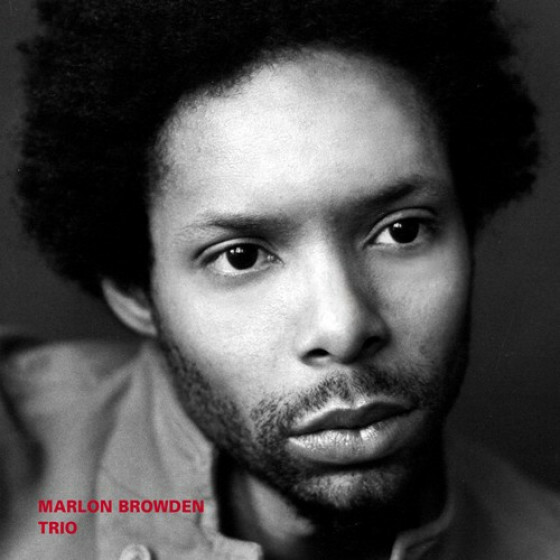 Marlon Browdens loose yet cohesive time feel suits the music perfectly, and his quasi-rubato free-for-all during the finale, "Silence Is the Question," give the piece most of its dynamic shape. The Fresh Sound label is building a reputation for solid releases from some of jazzs most underappreciated artists. The Vastness of Space is surely one of the best projects the label has released to date. It is also a new breakthrough for Reid Anderson, a bassist and composer of rare gifts who simply must be heard and appreciated by a wider audience". "An aptly-titled album if there ever was one. 'The Vastness Of Space' is an expansive, big-sounding work which is genuinely individual; there is in the way bassist Anderson has written and arranged nine marvellous original pieces here, a feeling of direct engagement with the artist's worldview. Scanning titles such as Reclusive Melismatic Clouds of Joy , Prehensile Dream and Talons might give the impression of an existentially overloaded soul but Andersons music comes across as a straightforward expression of everyday feelings which well surely all recognise. Reclusive is arguably the strongest track in that sense; a marvellously evocative piece whose understated backbeat and creeping horns are like a face afraid to emerge from under the shadows. 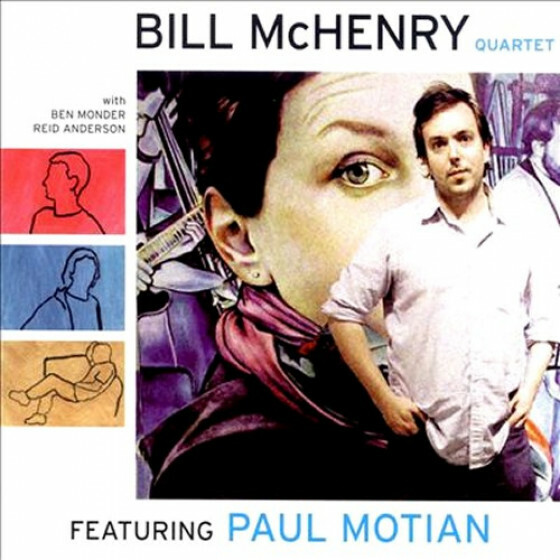 Brilliant harmonic interplay between Ben Monders flickering guitar, Bill McHenrys incisive tenor and Andrew DAngelos poised alto conspires to produce mystery and enigma with the kind of stark, spiky energy that defines the music of Dave Douglas. 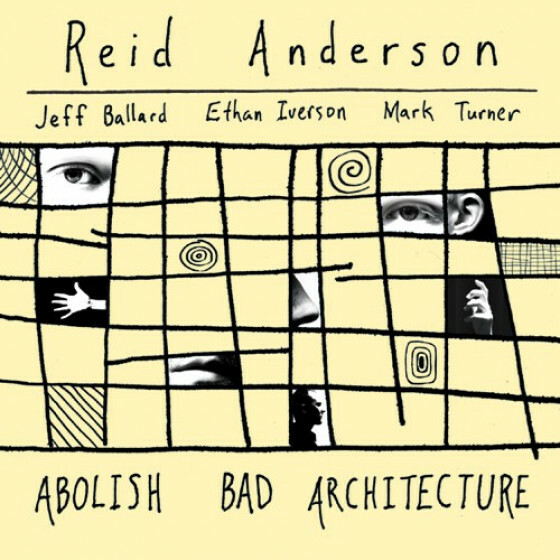 "Reid Anderson as rung the changes for his latest disc, which features a completely new line-up from the one that played on his last outing for the Fresh Sound New Talent series, Abolish Bad Architecture. 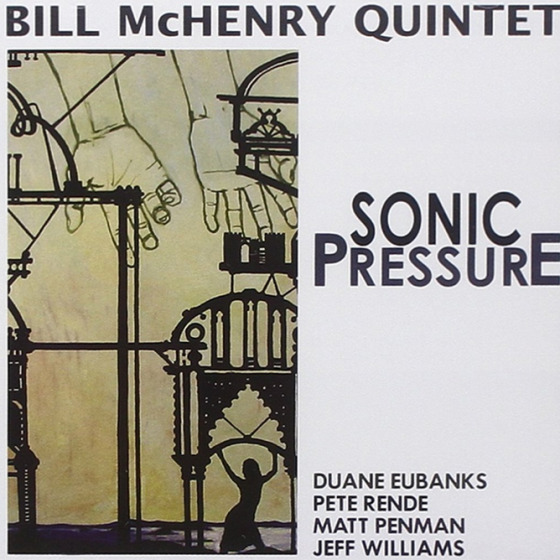 The bassist is joined by alto saxophonist Andrew DAngelo, tenor saxophonist Bill McHenry, guitarist Ben Monder and drummer Malon Bowder in a disc which exploits the spatial imagery evoked by its title to good effect. 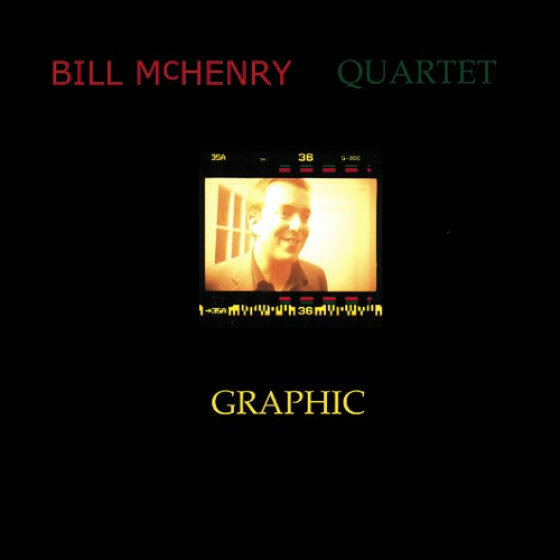 The emphasis is very much on ensemble interaction rather than the solo-oriented model of bop, and the players make creative use of both space and shifting layers of sound within Andersons compositions. 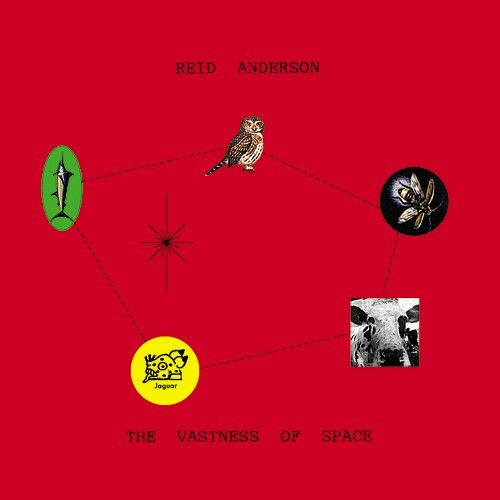 "AMG EXPERT REVIEW: On The Vastness of Space, Reid Anderson's third album for Fresh Sound New Talent, the bassist - composer tries something entirely different and arguably even more original and daring. Instead of Ethan Iverson on piano there's Ben Monder on guitar. Altoist Andrew D'Angelo and tenorist Bill McHenry comprise the frontline, with Marlon Browden behind the drums. This is the lineup that Anderson performed with live during the course of 2000. The overall vibe of the band is raw and loose, allowing Anderson's new batch of tunes to breathe and flow with an easy-grooving effortlessness. Many of the melodies have an almost hymnal quality, and the chord progressions and beats are sometimes closer to rock than jazz. But that doesn't make it "jazz-rock" or fusion of any familiar sort. Neither does it fit comfortably into avant-garde or mainstream post-bop camps. Even more so than Anderson's two previous albums, this music is uncategorizable, and at the same time entirely accessible. Nearly every track has what can only be called a hook, making each listen a satisfying return to melodies or chordal patterns that quickly become etched in the brain. The Vastness of Space is not at all a "blowing" record. "Prehensile Dream," in fact, features hardly any soloing at all. 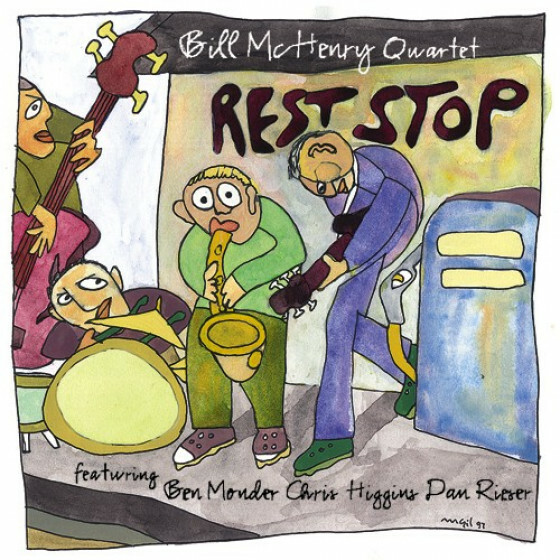 The mesmerizing melody is simply repeated, with increasing urgency, until the same haunting guitar arpeggios that began the tune return to end it. Similarly, "Reclusive" and "Melismatic Clouds of Joy" build melodies into ecstatic yet mournful cries, harnessing the power of the full ensemble to drive the point home. Fresh Sound New Talent is building a reputation for solid releases from some of jazz's most underappreciated artists. The Vastness of Space is surely one of the best projects the label has released to date. It is also a new breakthrough for Anderson, a bassist and composer of rare gifts who deserves to be heard and appreciated by a wider audience.